Welcome to the Nehemiah Center Blog! We at the Nehemiah Center are thrilled to kick off this New Year with a new way to connect to God’s people. Through this avenue, we hope to communicate more effectively our purpose and passion for this ministry, so that you can learn and get involved with our many projects. But first, why Nehemiah? The book of Nehemiah recounts the story of faithfulness in a community. Here, we see God using Nehemiah to rally and equip His people, in order to protect the temple. Because of God’s immense power and Nehemiah’s trust in God, Jerusalem was surrounded by a fortress of strength, built by families that had been stricken with struggles. Nehemiah 6:15-16 states, “So the wall was completed on the twenty-fifth of the month of Elul, in fifty-two days. When all our enemies heard of it, and all the nations surrounding us saw it, they lost their confidence, for they recognized that this work had been accomplished with the help of our God”. Like Nehemiah, we at the Nehemiah Center are passionate about the call of God and the people of our community. We ardently seek to glorify God by serving Him and His people, and that translates into encouraging and equipping the underprivileged of Chisholm to build a wall. We want to rebuild compassion, faithfulness, love, and hope in a broken community and a broken world. We want to fortify the family from the inside out. That means meeting human needs in the name of Jesus, in order to surround this community with the strength and love of Christ. We hope that in doing so we would fulfill the Great Commission (Matthew 28:19-20) and the Great Commandment (Matthew 22:37-40). What does this look like? 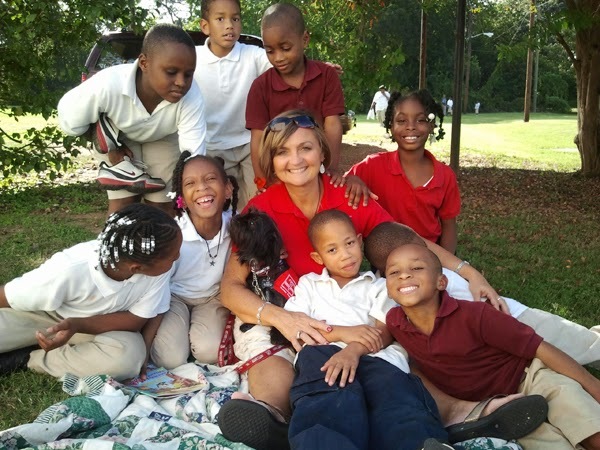 Well, the Nehemiah Center works in the at-risk community of Chisholm, outside Montgomery, Alabama, to minister to hearts through the word of God. We have a thriving after school program that nurtures the young; we have a GED program and a jobs-readiness program to empower the people; and we work diligently with young mothers through our parenting program. Projects like our Lidia Program and Masters Garden are just some of the exciting ways that we strive to meet the needs of our people. God has blessed us, and the stories of these people will bless you. Through the Nehemiah Center blog, we hope you will see some of these snapshots of life and feel God’s fortress of power here. With the New Year approaching, we at the Nehemiah Center pray for change. Our New Years’ resolution is to renew and replenish our passion and determination for this community. It is our fierce and faithful prayer that you will be called to serve the Lord, and we hope that God will put on your heart a desire to glorify Him with us! If you want to refresh your soul this coming year, consider serving here. There are many new opportunities to serve God at the Nehemiah Center, and we can honestly tell you that glorifying the Lord through service is one of the most powerful ways to find contentment and renewal.